Uncover the biggest trends in virtual reality. Get a comprehensive, data-driven analysis on consumer expectations for major products, applications, prices, and more in our 2016 Consumer VR Reports. * Special Educational & Non-Profit Pricing Available. Receive our analyzed consumer survey data. 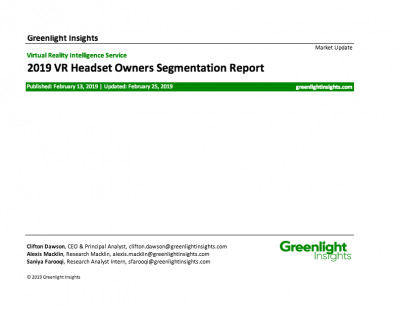 This landmark, 1,200+ person nationally-representative survey reveals consumer sentiment and adoption of virtual reality, through consumer views on headsets, content, payment models, brand advertising, and overall consumer behavior - only in our 2016 Consumer VR Reports. The 2016 Virtual Reality Consumer Report researches attitudes that will both drive or inhibit consumer adoption of VR for years to come. 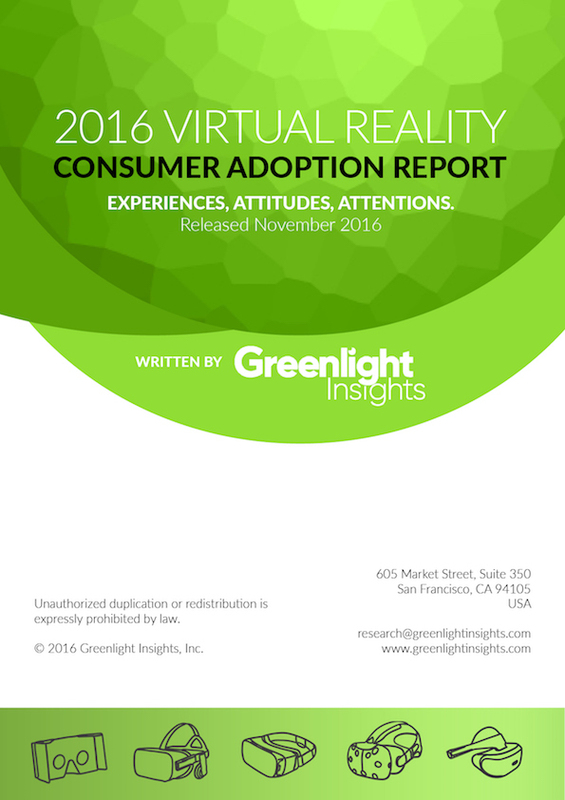 Since October 2015, Greenlight Insights has published findings from the annual Virtual Reality Consumer Study.